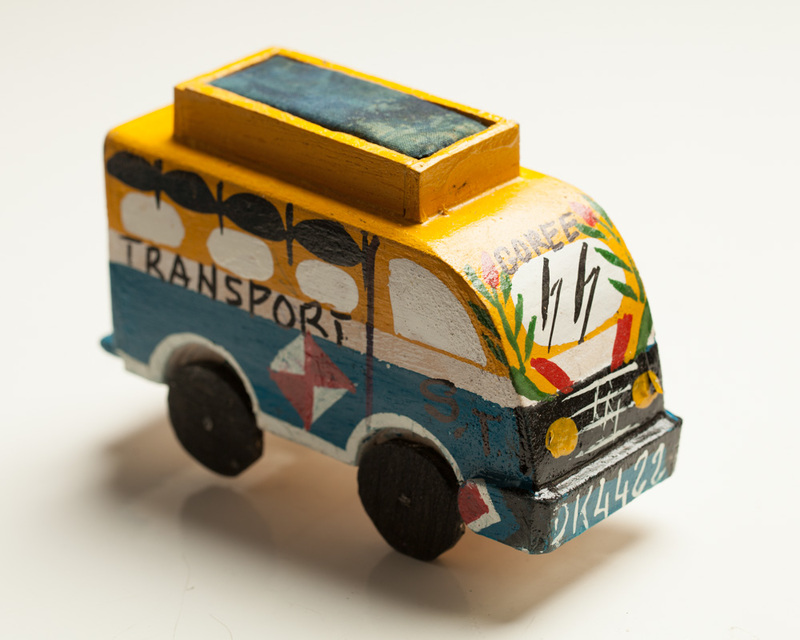 Small wooden replica of Dakar legendary local transport vehicle, “car rapide”. Perfect for decoration, gift or souvenir. As another electricity outage rolled through the northern reaches of Dakar, Lamane abandoned the computer modem with which he had been tinkering and sat beside me. 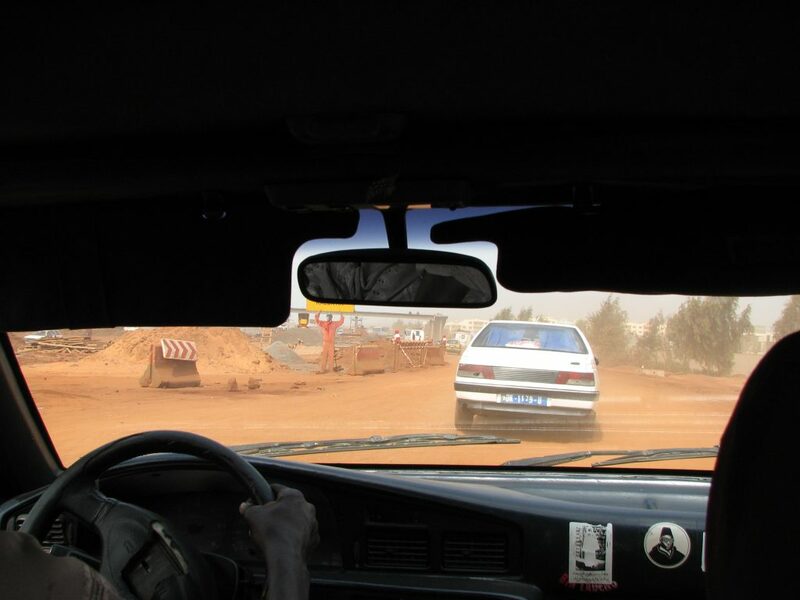 It was April 2006, a time of great infrastructural upheaval in Senegal’s peninsular capital city. Urban residents had become quite accustomed to making the most of these interruptions in daily routine. Perched on a wobbly desk next to me, Lamane shook his head as he surveyed his dimly lit cybercafé, where nearly a dozen second-hand computers slumbered, awaiting the return of electricity. Built with funds sent by a brother working abroad, Lamane’s cybercafé was struggling and customers were few. As the blackout wore on, Lamane reflected on what had gone wrong with his enterprise: too many others in the city were investing money sent from the diaspora into cybercafés, he mused, which meant too much competition and too great a pressure on the city’s already overburdened electrical infrastructures. Now, he was flirting with the idea of liquidating his computers and investing elsewhere. His dream was to start a fashion boutique, he confessed. To that end, he hoped to find work abroad, save some money, then import jeans and sneakers to get his business off the ground. But every attempt he had made to secure a visa or migrate through clandestine channels had failed. “There are too many people wanting visas, too many people sneaking across the desert or in boats,” Lamane said, so international authorities had clamped down on routes out of Dakar. He resented being stuck in the city where roads were rife with traffic bottlenecks, electricity outages were frequent, and opportunities were few. Perhaps we could become business partners, he suggested after some thought, and I could help him secure an American visa. Like Lamane, many residents of Dakar (Dakarois) linked their daily struggles to the inability of infrastructures—concrete overpasses, investment channels, or clandestine migratory routes—to accommodate the pressure placed on them. Increasingly, they described this state of infrastructural overload with the term embouteillage. A French word best translated as “bottling,” it was used most frequently to refer to the traffic bottlenecks that plagued the city’s narrow and overburdened roads. But urbanites also used the word in more inventive ways to describe many other sorts of impasse, from bureaucratic lags, unpaid salaries, and weak investment flows to resource shortages, internet failures, and overcrowded neighborhoods. Perhaps most illuminating for me—an ethnographer keenly interested in transnational migration and economic development—was that Dakarois would sometimes employ this concept to refer to their own or others’ inability to migrate abroad amidst ever-shifting migration policies and heightened securitization of borders. Experiences of impasse are not peculiar to 21st-century Dakar. The bottleneck has become a feature of everyday life around the world. It is a local, material manifestation of often quite abstract, global processes. In cities of all sizes throughout the world, people spend their days navigating traffic-clogged streets and tedious bureaucratic systems. Migrants continue to be routed into camps, detention centers, and various dead-ends, where life and movement are halted in an interminable state of liminality. How, then, might the trope of the bottleneck help us make sense not only of Lamane’s predicament but also of instances of impasse elsewhere in the world? How do people experience these moments of failed contact and deferred passage? And why do they persist in their efforts to move, engage, and connect? What the bottleneck offers, I suggest, is a revealing glimpse of a particular urban physics at work. The word embouteillage became ubiquitous in early 2006, as a series of large-scale public works projects roared to life. 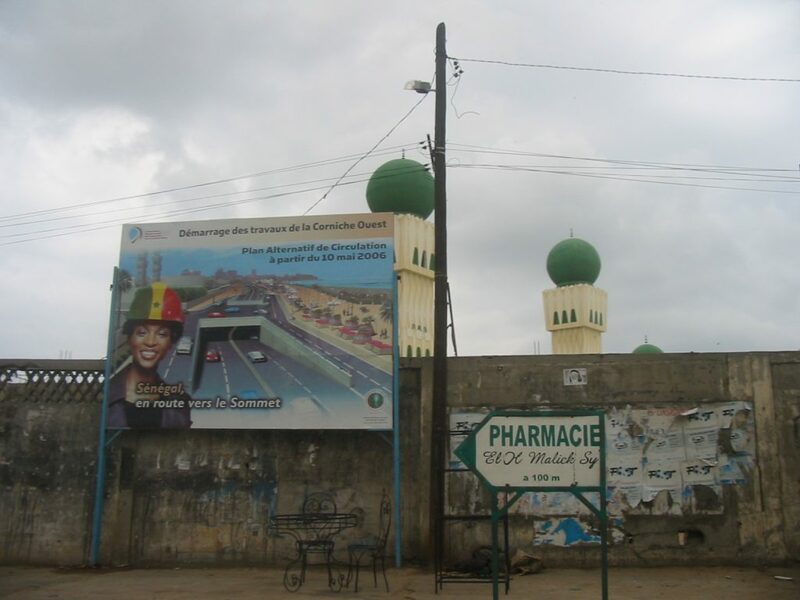 These projects were financed primarily with foreign capital and overseen by the Senegalese state. Among the most ambitious and controversial of these schemes were two dazzling new highway projects, which aimed to facilitate movement within the densely populated peninsular city and to better connect it with the country’s vast interior. Elected officials and bureaucrats insisted that sleek infrastructures and unfettered mobility would attract investors and bring opportunity to urban residents. In the short term, however, these projects only exacerbated problems as road closures, detours, and illicit passages came to dictate urban rhythms. These public works projects were not experienced as isolated events. Creatively invoking the term embouteillage, urban residents situated these projects within a context of ongoing infrastructural change and breakdown. For Dakarois like Lamane, bottlenecked routes were both similar to other sorts of impasse and intrinsically connected to them. A bottleneck in one infrastructure would produce dispersion, and these new circulations would then produce new bottlenecks elsewhere. For instance, the road projects were aimed at generating flows of traffic, goods, and capital around and beyond the city. But the resultant gridlock only strained economic circumstances. Traffic jams made it harder to get to work, with much of the day wasted in transit. The cost of fuel skyrocketed. Buses broke down, and cab fares were out of reach for the average family. Small businesses and market vendors saw decreases in foot traffic. Urban residents struggled to adjust their daily schedules and household budgets to accommodate these sudden changes. These sobering realities, in turn, only fueled people’s desires to migrate abroad. Transnational migration had been an indispensable economic and social strategy in Senegal for generations. Indeed, a 2004 government survey estimated that an astonishing 76 percent of households in Dakar had at least one member working abroad (République du Sénégal 2004). Migrants’ remittances have kept families and communities afloat in an era of deepening financial insecurity. But by 2006, urban residents like Lamane complained bitterly that the routes they relied upon for decades to get abroad, both legal and clandestine, had become tightened, highly monitored, or entirely cut off. In the wake of the “global war on terror,” economic slowdowns in Europe and North America, and rising political nativism throughout the West, many Dakarois found their plans to migrate dashed. Undeterred, tens of thousands of hopeful migrants boarded rickety fishing boats at this same time and left Dakar’s shores, hoping to reach the Spanish territory of Canary Islands; tens of thousands were apprehended en route, and many others lost their lives. Such interplays of circulation and regulation produce a particular urban physics: moments of impasse give way to new flows, which in turn produce new points of pressure. For Dakarois like Lamane, life has become an entanglement of bottlenecks—in short, embouteillage. The trope of the bottleneck also offers important insights into why people persist despite the odds stacked against them. Why invest in building a cybercafé when internet and electricity infrastructures are so unreliable to begin with? Why risk one’s life and savings to join a clandestine voyage that is nearly certain to end in repatriation or death? Why spend so much time pursuing migration as a social and economic strategy, when so many viable paths have been closed? Dakar’s traffic jams offer insight. Bottlenecks form when routes are narrowed or obstructed or when demand exceeds capacity. In these moments, however, traffic is never cut off entirely. As urban residents would point out, some people, some vehicles, and some migrants do manage to get through. Being mobile, then, is a matter of locating a viable point of passage, lawful or otherwise. Urban residents constantly carved new paths, engaged in economic exchange and bribery, forged strategic friendships, and crafted elaborate stories that might serve them in making it through moments of impasse. One’s nationality, race, and economic class mattered, Dakarois repeatedly emphasized to me, but so did cunning, resourcefulness, and persistence. This point is well illustrated by my encounter with Lamane, who took advantage of a power outage to re-evaluate his approach and establish a relationship that might eventually help him get abroad. Bottlenecks, then, are not only moments of blockage and impossibility; they also can become moments of connection and opportunity. In a typical Dakar traffic jam, itinerant traders weave through cars and buses, peddling mobile phone credit, daily newspapers, drinking water, and imported Chinese goods to stranded motorists. American flags are popular among cab drivers, who mount them on their dashboards and describe them as a symbol of their migrant hopes. Fueling imaginaries of a life in global motion, billboards advertise remittance transfer services and airfare promotions to Paris, Jeddah, Lisbon, and Washington, D.C. Paradoxically stuck in a mise en scene that proclaims mobility as a national value, many cab drivers make the most of traffic jams by studying English language manuals, hoping to repackage themselves as chauffeurs for tourists and, eventually, as eligible migrants. These are skills that will help them get them through, if not the traffic jam at hand, then the bottlenecks of the life ahead. Bottlenecks are transitory phenomena. Traffic accumulates in one spot only to dissipate and gather elsewhere at another time. This produces a highly volatile and unpredictable landscape. Yet it also instills an expectation of renewed movement. By 2010, many of the controversial public works projects had been completed, and traffic generally moved with ease along sleek new highways. But the era of embouteillage, by no means, had ended. Moving away from the city’s center onto congested and dilapidated side roads and into bustling neighborhoods, it quickly became clear that bottlenecks had formed elsewhere. While there was little talk about clandestine voyages to the Canary Islands in 2010, a worldwide economic recession recently had produced new interruptions in migratory flows. Rumors began circulating that Senegalese migrants living in Italy had lost their agricultural and factory jobs, and were now being supported with remittance monies sent to them from the wives they left behind in Dakar. The migrants, many undocumented, could not risk returning to Senegal and losing their place abroad. So their wives, who had once depended on remittance payments, were forced to find work to support their families and absent husbands. For those fortunate few who had passed through the bottlenecks of migration, new impasses on European soil were now, effectively, “backing up” into urban Dakar to reformat familial relations and economies. At once intimate and transformative, these dynamics bespeak the landscapes of impasse and constricted flow that Dakarois have come to call embouteillage. Whether on the congested streets of Dakar or the transnational lives and aspirations of Dakarois themselves, bottlenecks in one place appear and disappear, only to engender flows and bottlenecks on other terrains. Contrary to what might one expect, however, bottlenecks are not merely sites of failure or impossibility. 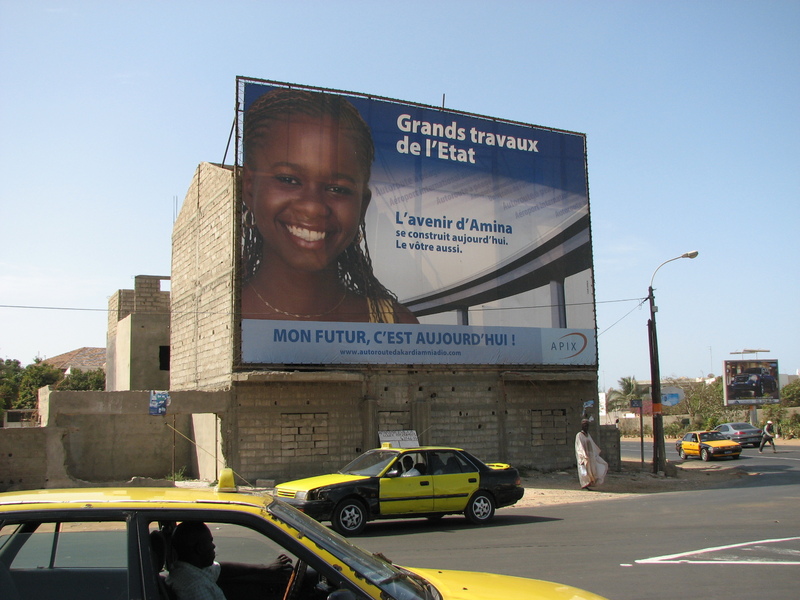 In Dakar, urban residents also engage with embouteillages as sites and signs of potential. For Dakarois navigating a global era of flow/impasse, where circulations of all sorts are relentlessly rerouted, halted, and surveilled, bottlenecks paradoxically contain the radical promise of future connection and renewed movement. Some, after all, do manage to get through. République du Sénégal Ministère de l’Économie et des Finances, Direction de la Prévision et de la Statistique. 2004. Rapport de synthèse de la deuxième enquête sénégalaise auprès des ménages (ESAM-II). Dakar.